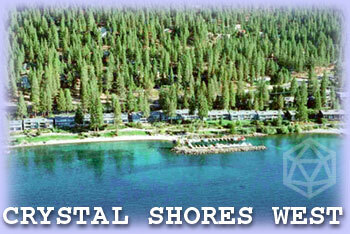 Welcome to Crystal Shores West, a community of exclusive lakefront condominiums, located in Incline Village on the North shore of Lake Tahoe, Nevada. Crystal Shores West residents enjoy panoramic lake views from their units and beautifully landscaped grounds. There is a thirty-slip marina and four buoys for the avid boaters along with a sandy beach and designated swim area for your full enjoyment. Incline Village provides a stimulating mix of leisure and cultural opportunities from private beaches, 2 golf courses in the village and 6 more within a short drive, lighted tennis courts, ski resorts, hiking and biking trails. A recreational facility with fully equipped exercise rooms, basketball courts, and indoor Olympic-size swimming pool add to the enjoyment of the area. Cultural activities include a summer Shakespeare Festival, musicals from classical to jazz, artistic and literary events year-round.